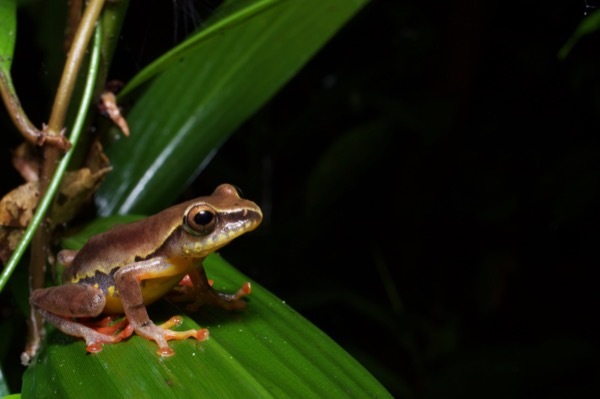 The name "Tanzania Reed Frog" is left over from a time when this species was considered to range across much of Africa. The name has since been restricted to a portion of West Africa. This was the most beautiful of the several small treefrog species we saw in Atewa Range Forest Reserve.